You may not think of Sundance as being a bastion of films that skew scientific, but there are a surprisingly large number of them each year. This did not go unnoticed by U human genetics professor Gabrielle Kardon, who immediately saw an opportunity to blend two of her passions. She and an editor with Science magazine have partnered to create Science@Sundance to review science-themed films, enlisting the help of U biology professor Michael Shapiro and a small cadre of colleagues from other institutions. 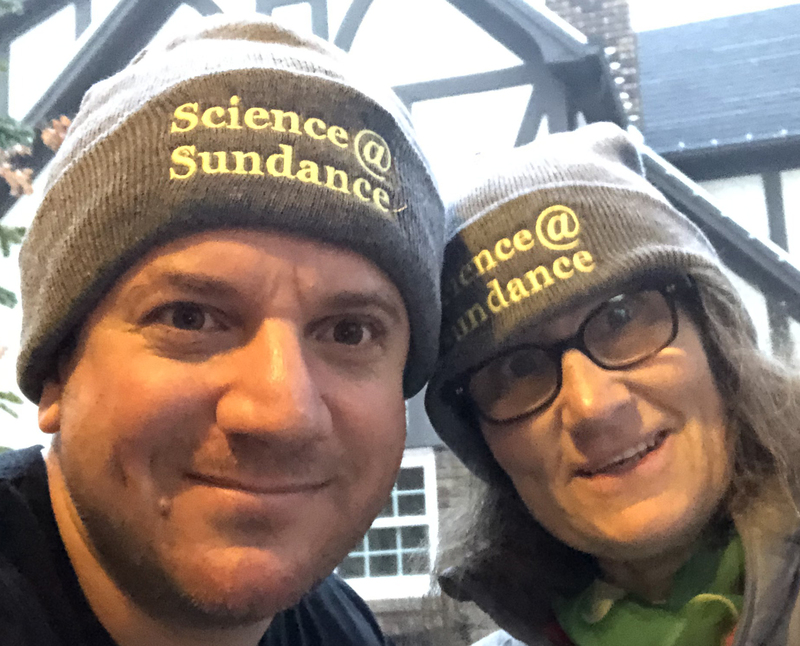 Gabrielle Kardon, professor of human genetics (right), partnered with an editor from Science magazine to create Science@Sundance to review science-themed films. Michael Shapiro, professor of biology (left), and other scientists will also become movie critics during the festival. Their mission is to highlight movies that excel at using art and storytelling to engage their audiences in important science-related issues. The ultimate goal? To stir excitement and awareness, and encourage scientists to think about pursuing the arts as a way to get the word out about subjects that matter to them. Look for their reviews in Science magazine in February. In the meantime, you can experience the Sundance Film Festival through scientists’ eyes on Twitter @ScienceSundance. If you’re lucky enough to score Sundance tickets, look for these films below. Whether you’re a nerd at heart or simply sci-curious, there is something for everyone. The inspiring story of 13-year-old William Kamkwamba, who developed his own windmill to bring electricity to his rural community in Malawi. Based on Kamkwamba’s autobiography and directed by Chiwetel Ejiofor. 2019 Alfred P. Sloan Foundation Feature Film Prize winner. Featuring never-before-seen NASA audio and film footage, this documentary brings to life the Apollo 11 mission, which landed the first two people on the moon. Directed by Todd Douglas Miller. Elizabeth Holmes arrived in Silicon Valley promising a medical revolution, but instead delivered an empty fraud. The spectacular rise and fall of Theranos is documented by director Alex Gibney. Vaquitas are the world’s smallest whale, but their home in the Sea of Cortez is a battleground that has brought them to the brink of extinction. The vaquitas are the collateral damage in the illegal harvest of totoaba fish, “the cocaine of the sea,” a multimillion-dollar business. This film uncovers the harrowing battle between the Mexican cartels, Chinese mafia, environmental activists, Mexican navy and undercover agents. Directed by Richard Ladkani. Tigers have been decimated by poachers, but in Russia Pavel Fomenko and in India Kailash Sankhala lead heroic efforts to save these venerable animals. Directed by Ross Kauffman. “Take half, but leave half to the bees.” What happens to the natural balance when nomadic beekeepers break this cardinal rule? The last female bee-hunter in Europe is left to save the bees. Directors Ljubomir and Tamara Kotevska. **Banner image: Buzz Aldrin, part of the Apollo 11 team in 1969. Courtesy of NEON CNN Films.